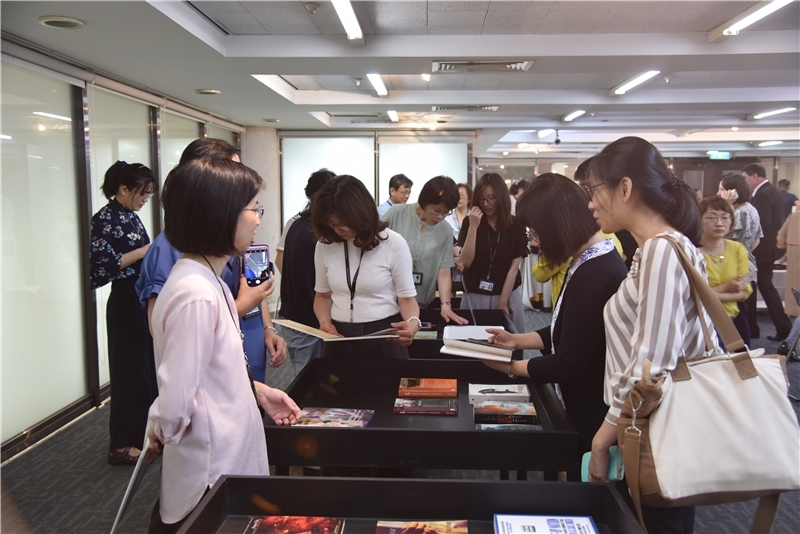 The National Central Library (NCL) held a book donation ceremony on June 26, 2018, with the Israel Economic and Cultural Office. Representative Asher Yarden from the Taipei office made the donation. 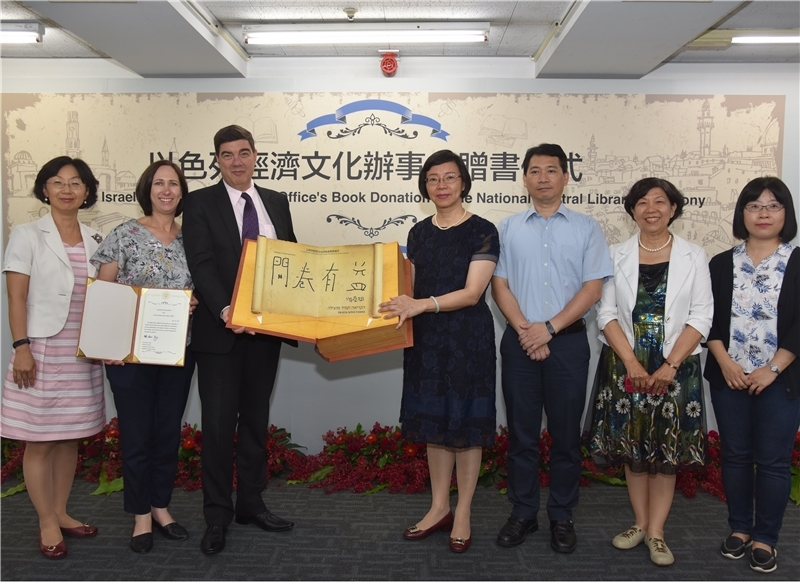 The donation wascomprised of over seventy volumes, including books in Hebrew, Spanish, Chinese,Korean, and Vietnamese. 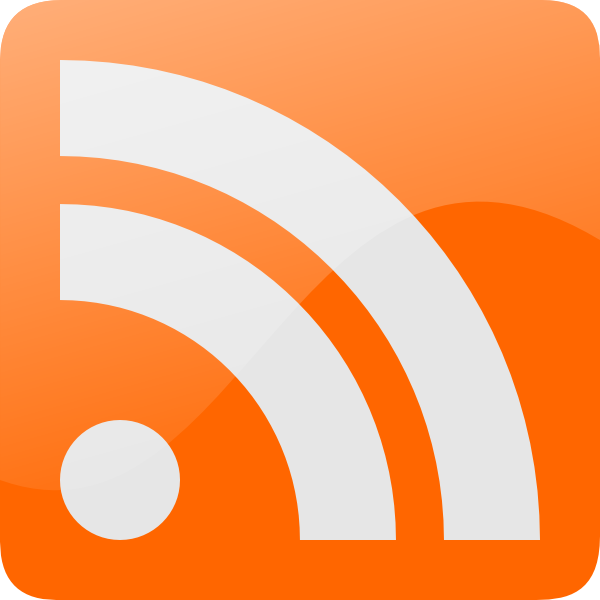 Content covers Israeli literature, art, illustrations,society, humanities and more. Representative Yarden stated in his remarks thatbooks are a medium of communication that can transcend space and time, allowingpeople in different areas to understand each other’s culture. He hoped throughthis donation to establish a communication channel between Taiwan and Israel. Director-GeneralTseng also expressed her desire that this donation would be the beginning of acollaborative relationship with Israel. In addition to expanding the Library’sholdings and benefiting patrons, she hoped that libraries in both countriescould engage in more exchange and collaboration. The guests browse the books of donation. Director-General Tseng and Representative Yarden with other guests.